This 45-year-old woman has been single for a while and her daughter is using the power of social media to get her a man. A Nigerian lady initiates search for a husband for her 45-year-old mom who is single. 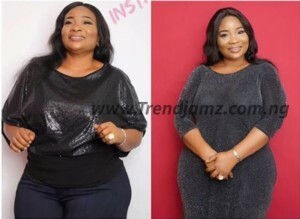 Effa Epelle Christie made the announcement on Twitter and many people have been showing interest in her beauty and curvy mother. According to her, she is a gainfully employed Christian which translates to financial stability.